Can this be applied to volunteer engagement? Do we need more than a friendly face to recruit volunteers, and to sustain them? What is so wrong with the above statements? For one thing, they are simplistic extremes (like hot and cold porridge) and do not take into consideration the conditions that must exist for volunteer engagement. 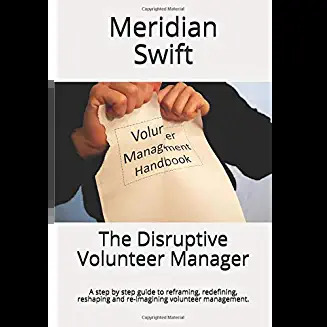 Volunteering conditions, like the Goldilocks principle have to fall within certain margins in order to attract and sustain volunteers. Just as distance from star, liquid water and atmosphere are the major conditions for a habitable planet, there are major conditions for engaging volunteers. When our volunteer programs fall within the optimal margins in the following three conditions, we have created a volunteering Goldilocks zone. Volunteering must be seamless. Not easy, but seamless: A prospective volunteer needs a response within 24 hours (48 on weekends) or else our “urgent need” is meaningless. Steps to volunteering must be clear, relatively simple and able to be completed in a timely manner. Any glitches, or unreasonably long waiting periods will dim a volunteer’s enthusiasm. This doesn’t mean we need to accept any person without reservation, vetting or orientation. It means the process must make sense to the volunteer and not fraught with unnecessary obstacles. If we proclaim we want volunteers, we have to show it by a seamless onboarding process. We must not advertise volunteer roles and then use bait and switch to get volunteers to fill roles we need to fill. We can’t over-onboard or under-onboard volunteers. We need a system that is practical, understandable and frankly adaptable. There must be meaning in the volunteer work: Volunteers want to make a difference. Every task or role needs a direct connection to the mission. Every task or role must be explained so volunteers clearly understand why their help is crucial, why their time is valuable and why we wanted them in the first place. Even less exciting volunteering roles support the mission. It is imperative we convey the impact roles and tasks have on furthering our work. Not enough conveying of meaning drives volunteers away, but so does gushing over them and treating them as though anything they do is the most amazing thing in the history of volunteering. Volunteers need meaning that focuses on the work and how they have contributed. Communication is crucial: This is probably the most basic condition. Volunteer communications must be clear and on point. Impact on mission, appreciation for their time, clear instructions, organizational policies, changes in org policies are all examples of the areas that volunteers need clear and direct communication. Obviously too little communication begets disaster but bombarding volunteers with too many emails, or phone calls also can turn them away. Does the task fit within an acceptable time frame? What skills are necessary to do the task? How far away is the task site? Is the task recurring, one time or sporadic? What support can be expected? What responsibility level is involved? Each one of the above variables contributes to a volunteer’s commitment. When the “just right” foundation is in place, then the above variables can be adjusted for an optimal experience. Volunteering needs a Goldilocks zone, one in which careful planning creates the favorable conditions for engagement. It’s not about luck, or happenstance or just asking anymore. It’s about the creation of an engaging atmosphere, followed by attention paid to all the other, unique conditions that might drive a volunteer away. 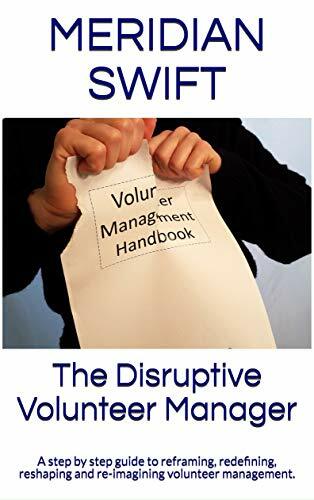 It takes a knowledgeable, experienced and fearless volunteer manager to push an organization into the volunteer Goldilocks zone. Optimal margins for volunteer engagement require the participation and buy in from the entire organization, not just the volunteer department. So, as we consider the conditions in which volunteering engagement is optimal, we can begin to lay our Goldilocks foundation. Let’s be a habitable volunteer planet. Let’s be just right. Hi and thank you for asking that question. Free advertising through VolunteerMatch or your local newspaper’s community pages or through bulletins at places of worship, clubs and other organizations is a great way to start. Volunteer fairs as well as local college student associations that are great ways to find volunteers. Good luck! Hi, we can talk privately, please use the contact form at the top of the page (contact me) -just click on that link, fill out the contact information and we can chat. Thank you!